Al-Azhar Al-Sharif is delivering humanitarian assistance of 110 tons of food and shelter kits to the Rohingya population in light of the ongoing humanitarian crisis and as a way to support the global efforts aiming to alleviate the suffering of a population in dire need. This assistance comes in recognition of the generosity of the people and government of Bangladesh as it continues to host over 6,00,000 of a Muslim minority feeling horrifying violence in Rakhine. Al-Azhar strongly condemns the brutal and inhuman acts committed against the Rohingya Muslims in Myanmar, violating the teachings of all religions. 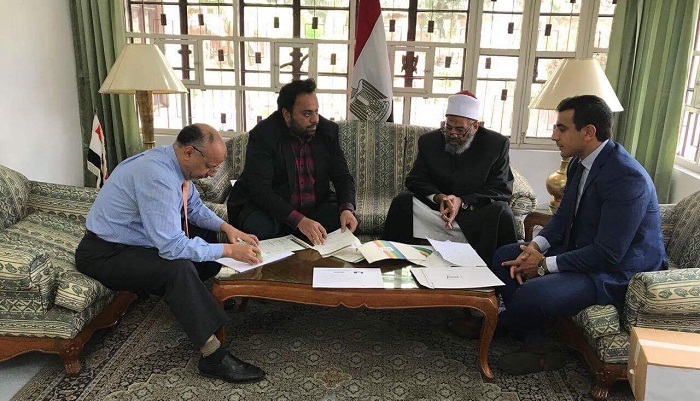 Al-Azhar urges the international community to act responsibly to put an end to such heinous acts and stresses the importance of ceasing bloodshed for the sake of international peace.